The summary below will provide a summary of some of the commonly used ARINC protocols. This is intended only as a brief overview and should not be used in place of the ARINC specification documents. ARINC 429, formally known as the Mark 33 Digital Information Transfer System (DITS), is a specification for the transfer of digital information between avionics system elements. In its simplest form, an ARINC 429 network consists of a single transmitter (source) connected to a single receiver (sink). 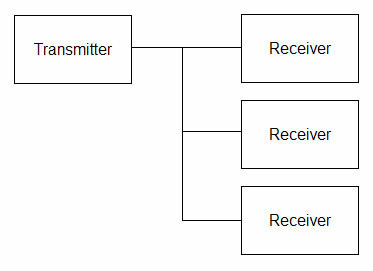 Up to 20 receivers can be connected to a single transmitter. ARINC 429 systems can include many of these connections to share data between the elements of the avionics system. ARINC 429 typically uses either “low speed” (12 to 14.5 kbps +/- 1%) or “high speed” (100 kbps +/- 1%) bit rates.